Are you dribbling? Are you suddenly craving pizza? Are you attempting to eat your computer screen? 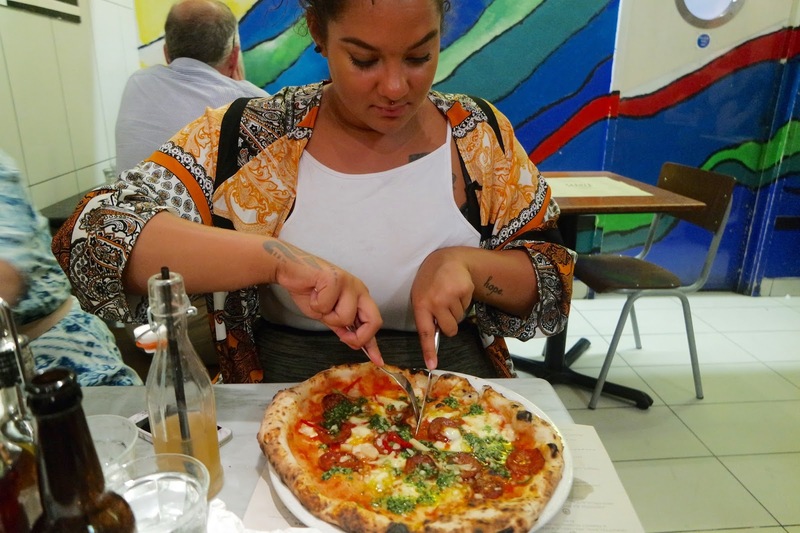 Say hello to sour dough pizzas from Franco Manca..
Last Tuesday Simon & I with our couple friends, Natalie & Ash, decided to have a mid week date night. We wanted something cheap, quick and a short trip away. 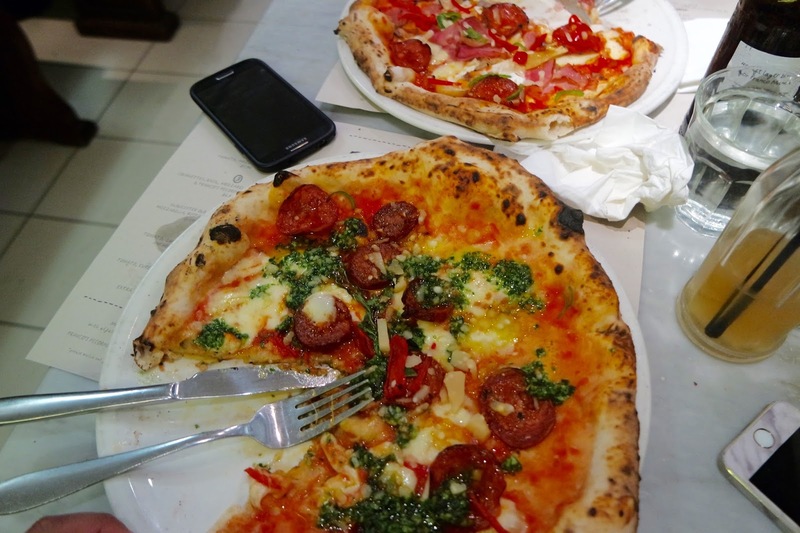 Natalie suggested Franco Manca in Chiswick so thats where we went.. The vibe reminded me of the hustle and bustle of New York City pizzeria’s & although the place was hot and loud, I sort of loved it. 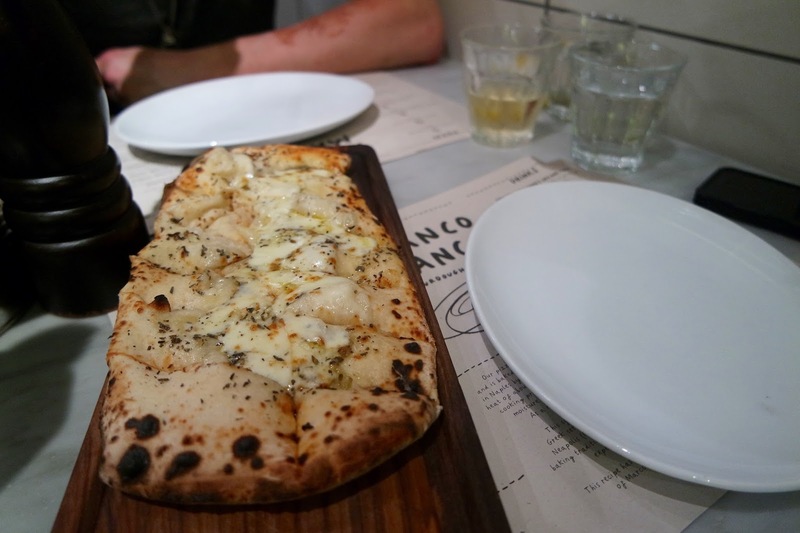 Franco Manca is super popular at any time of any day – and once I tasted the food, I totally understood why. 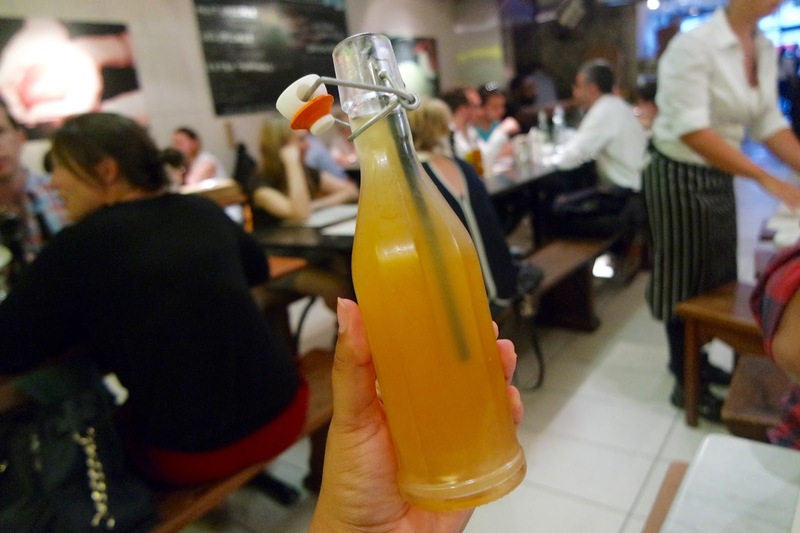 The vibe was casual, vibrant, rustic and cool – I bit like the food I guess. Soft drinks like Diet Coke & Sprite aren’t served here which kind of disappointed me. On a warm day I always crave an ice cold Diet Coke, so instead I opted for organic lemonade. I guess you can say its an ‘acquired’ taste, nothing like normal lemonade, but it was okay, just a bit bitter & strong. For starters we ordered garlic bread and I really wish I could explain just how delicious it was. The sour dough base means thick doughy goodness, but its also fresh and light at the same time. The flavour is beautiful and the cheese, MY GAD THE CHEESE, just incredible. Salty, gooey and just nvjdnvksnvnsgsnguiw if you know what I mean?! For pizza I went for number ‘6’ on the menu. 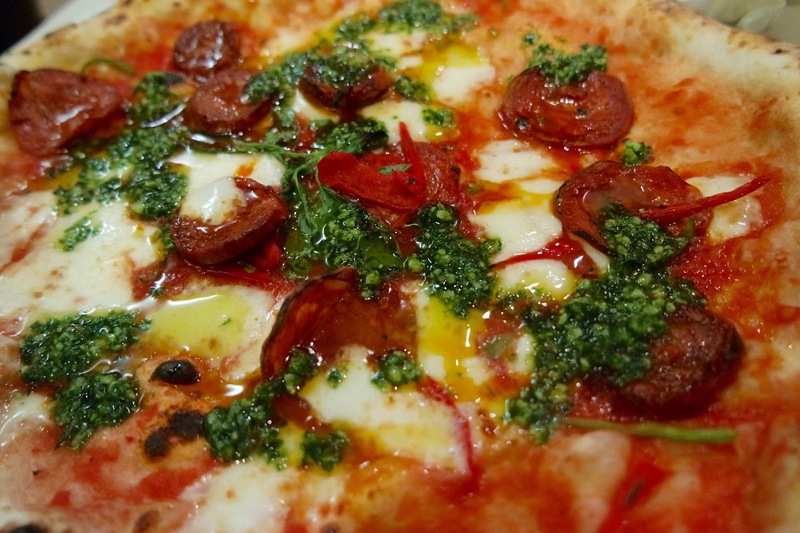 Tomato base, green pesto, chorizo & mozzarella. I also added chilli too for an added kick. I can hands down say this was the best pizza I have ever had in the UK. Its even on par with Don Antonio’s in New York City. The flavours, the textures, just bloody everything. The ingredients are just super fresh and everything tastes so wholesome. I cannot wait to go back!! 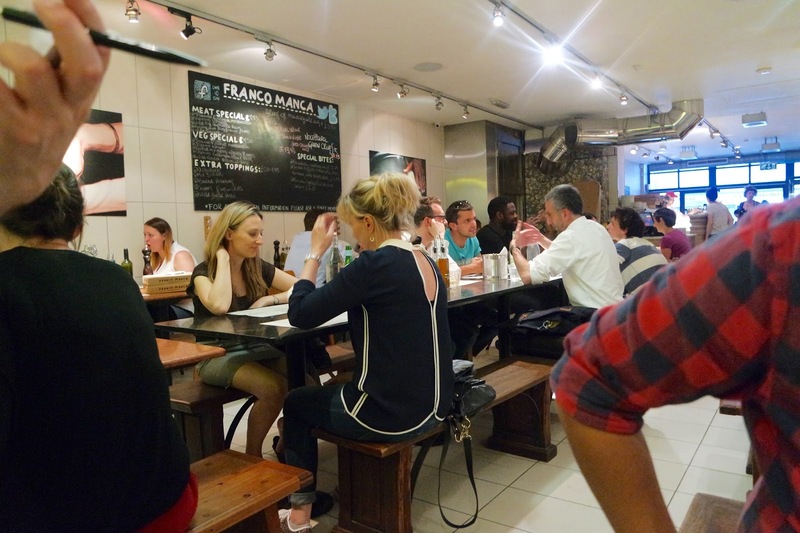 If you ever fancy a delicious and cheap bite to eat then I highly recommend Franco Manco. Oh, my pizza was also only £7 and it was huge. Just go!!! JUST GO!!!!!! I want to lick my computer screen! Looks so good! I wish they had somewhere similar to this in Norwich! Pizza with pesto on it is my life!! Oh god that pizza looks amazing! The pizza looks so yummy! I'm going out for pizza tomorrow and this has made me overly excited!